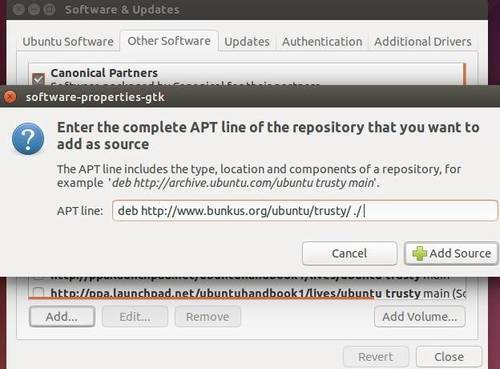 This quick tutorial shows you how to install the latest release of MKVToolNix (mkvmerge GUI) and receive future updates from its official repository in Ubuntu 14.04 Trusty Tahr LTS. As you may know, MKVToolNix is a set of tools to create, alter and inspect Matroska files under Linux. 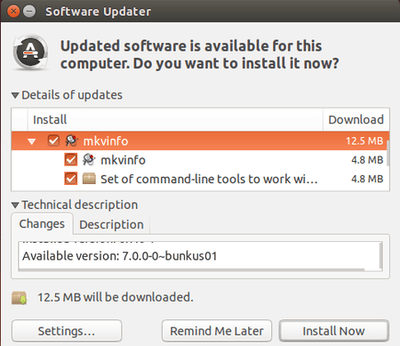 As the program updates so frequently (almost one release per month), the MKVToolNix version available in Ubuntu repositories is always old. If you would like to receive latest features and bug fixes, using mkvtoolnix repository is recommended. If you’re familiar with Linux command line, just a few commands will add the repository and install / upgrade to the latest MKVToolNix release in your Ubuntu. After that, running regular Ubuntu updates (via Software Updater) will upgrade the app if there’s a new release. 2.) Under “Other Software” tab, click Add button and then paste below line and click the Add Source button. 3.) Create an empty document and name it to gpg-pub-moritzbunkus.txt. Paste all content from the keyring page into the document and save it. 4.) Import the document you just created in Authentication tab of Software & Updates. Finally you’re able to install MKVToolNix via Synaptic Package Manager (available in Software Center) after checking for updates (Click Reload button). Or use Software Updater to receive updates if you have a previous version installed. Thank you so much Ji m. It works great on Ubuntu 14.04LTS amd64. Now I can work on my .MKV videos.